So has another year passed, and what is a better way to end it then playing an adventure with family and friends. The rumors in the village is that someone has stolen the New Year, and time is short, this year will soon end and if no one can retrieve the New Year the world will freeze in a constant state where nothing new can happen. The villagers suspect that it is the trolls in the neighborhood that has stolen it, but where can the players find them? And is the truth really so simple…..
And of course does the story need some maps. 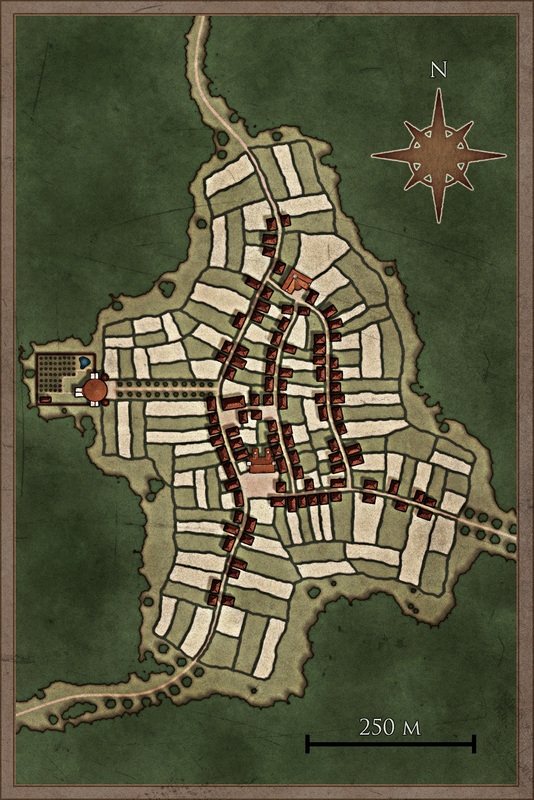 The map at the top of this post is of the village where the adventure will start out. The map is done in City Designer 3 (CD3) from Profantasy but edited in Photoshop to change colours and adding some effects. I usually do that with all my city maps I make in CD3, the original colours are a bit too bright for my taste. 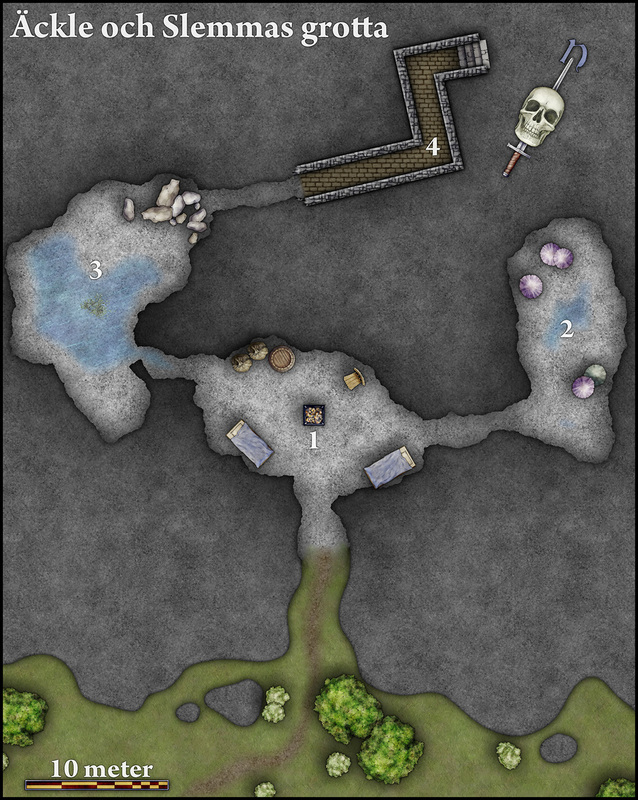 The map below is made in Dungeon Designer 3 (DD3) and depicts the cave where the two trolls in the adventure are hiding. Of course they are not the culprits they are completely innocent, the real culprit is the evil priest, and he is the one responsible for stealing the New Year. Everytime I use DD3 I feel like I have to do it more often. It is a very powerful tool and working with it is a lot of fun. But now it is time to try to save the New Year, so happy New Year to everyone reading this blog and see you next year, if my children and their friends succeed in their quest.